It is a little known fact that Teide played an important role in solving different issues raised by the first naturalists who studied ancient continental volcanic areas. At the time of the first scientific expeditions to the Canary Islands, geologists debated several hypotheses in order to establish the most fundamental concepts. Humboldt's trip to Tenerife, when he climbed Mount Teide, was fundamental both for him and to promote volcanoes among scientists. One such scientist, Leopold Von Buch heard Humboldt talk about and defend the pluton thesis. In 1815 he carried out a thorough exploration of Teide and Las Cañadas escarpment. Previous interpretations did not endorse the evidence of his observations. These scientists were followed by Charles Lyell, who contributed decisive phenomena and arguments from his findings at Las Cañadas, in his "Elements of Geology", one of the most influential books written for the advancement of Geology. Knowledge learnt on Teide has continued to be a global benchmark, culminating in it being granted World Heritage site status in 2007. 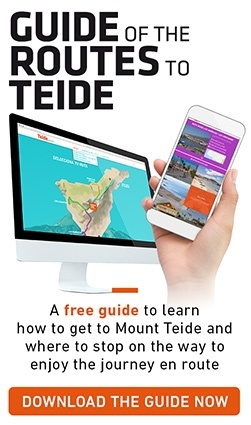 In addition to offering an outstanding selection of geomorphological formations, Teide has an indisputable quality that is unique in the world, and a prerequisite for achieving the UNESCO recognition. It shows the complete evolution of volcanism pertaining to intraplate oceanic islands (The crust of the Earth, like the "skin" of a ball, is divided into a series of large irregular pieces called plates. Plate movements and the phenomena that occur in the Earth's interior cause earthquakes and volcanism, with very different consequences for the boundaries of the plates and their interiors. In this respect, the Canary Islands and Teide are emblematic examples of an intraplate archipelago or volcano because they are located in the middle of the African plate, far away from its boundaries), and in fact, to find structures that are similar to these huge, frequent viscous lava channels, you would have to go, for example, as far as the volcanoes in the Andes, which have a completely different origin and volcanism process from this oceanic island volcanism. Today, Teide still represents a magnificent laboratory for volcanologists and geologists as well as being a unique place for watching the stars. Teide Observatory, also known as Izaña Observatory, is located on the Izaña massif, at a height of 2,400 metres. The international scientific community acknowledges that it is one of the world's most important observatories.